"Molly's perfect life comes crashing down following the unexpected death of her husband David. She is left alone with a big old house to maintain, finances in disarray and her hopes for happiness in a heap. But Molly is a survivor. Despite objections from her two daughters, Molly fears that the only solution will be to sell their beloved home. But as she finds herself drawn to the old neglected and overgrown walled rose garden and the dilapidated gardener's cottage attached, she suddenly sees a future as she decides to restore them. 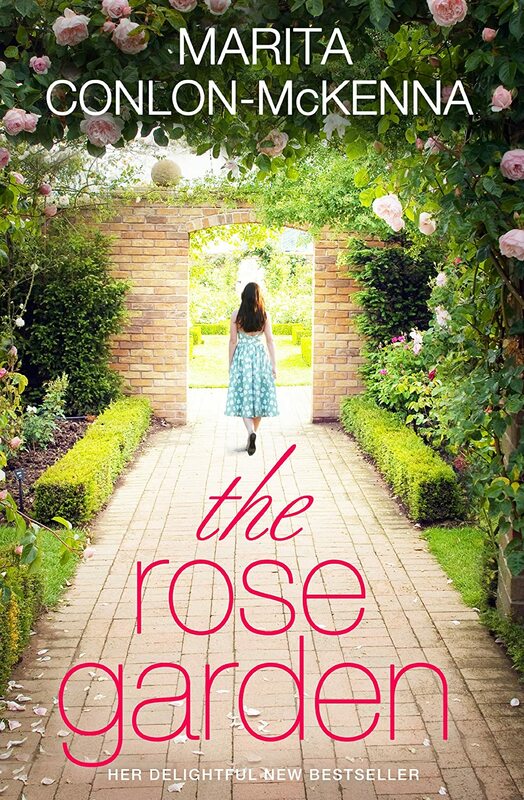 As the rose garden takes on a new life and starts to bloom again, Molly finds that she can look to the future with new confidence and hope." I was so excited when this book arrived because it was stated to be published by Transworld Ireland and I simply adore everything Irish. However, whilst I enjoyed the book, I didn't find it be that obviously Irish. I guess the Irish lilt didn't jump off the page, but I did get the sense of friendliness and that everyone knows everyone as is always the case in Ireland. That said, The Rose Garden, is a lovely tale of three women and a vast array of other characters whose lives are all intertwined somehow and it really does follow each of them on a journey. I did sometimes find myself losing track of who was who as there are quite a few different threads ongoing throughout, but I soon got to grips with it. The book is slightly predictable, but I enjoyed the witnessing the entrepreneurial aspect emerge and the ultimate outcome. I loved the descriptions of the family home and the garden as it blossomed into life. All in all, a nice summer read. I would love to work some more with Transworld Ireland!